For all those who are in the selling of iTunes gift card, I believe this post will be a very good one for you. From whichever city you are reading this from Nigeria, I will show you the best site to sell iTunes gift card in Nigeria. This website has the best and highest rate currently in Nigeria, and you don’t want to miss it at all. One of the problems that many iTunes card sellers’ online face is that of low rates, which is making it very bad for business. After much research, I found out that this website gives you the overall best rate for your iTunes card in Nigeria. 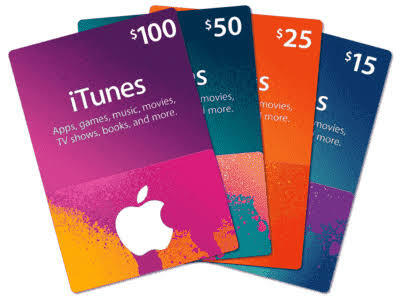 Never fall into the hands of rippers again; this best site to sell iTunes card in Nigeria is here to help you make sure you get good money for your gift cards. This is the first step for those that want to sell their gift cards for money. It doesn’t matter where you get the gift cards from, all that matters is that you have it. Once you have the gift card, make sure you don’t reveal the code to anybody. The digits at the back – just like a recharge card, that is what you will redeem to the seller that will finally pay you. Each of this gift cards has their own rates, so you should make sure that you are going for the person that will pay you the highest rate. But you shouldn’t worry because this site I am about to recommend for you, currently has the best rate in the market. This is the most important part when you want to redeem an iTunes gift card to cash in Nigeria. If you visit the wrong site, they will rip you off your money. If you decide to go on Whatsapp and look for people to help you, they will scam you. So how do you do it? 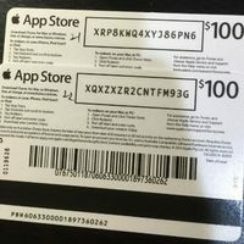 This is where I will make a recommendation for all those who are looking for the best site to sell iTunes gift card in Nigeria at a dope rate. All of these made me choose LegitCards as the best site to sell your iTunes gift cards in Nigeria. LegitCards is one of the best sites to sell iTunes gift card in Nigeria, and it has the best rates. It exchanges most gift cards like iTunes, Amazon gift cards, Steam, Google play, etc. It also exchanges Bitcoin for Naira. Trading gift cards on LegitCards is risk-free – because nobody will rip you off. You can trade gift cards of any amount from $10 – $200 and even above. Major currencies like USD, AUD, GBP, CAD, and EUR are also supported. All forms of Cards are accepted on LegitCards – both electronic codes and physical gift card forms. What are the Card Types that are accepted on LegitCards? How Fast do LegitCards Pay Sellers? One of the issues facing sellers who are looking for the best site to sell iTunes card in Nigeria is the issue of trust. Due to the fact that there are many rippers everywhere, trust has become a key issue. But with LegitCards, there is nothing to fear; with over 5 years in this business, we have served all our customers well. Once you give us your card and we redeem it, be sure to get your money in 5 minutes. Hurry now and contact LegitCards immediately and start making money from your gift cards in Nigeria. Sell iTunes Gift Cards, Sell Amazon Gift Cards, Sell Bitcoin etc.. Please share the post with your friends and families on social media.